We have look forward to sharing with you Hello!Lucky's newest line of wedding invites from guest designer Jacqui Lee. Naturally, the designs reflect her imaginative style perfectly. From her cheerful color palettes to her distinguished hand-painted characters, each suite is just as romantic as the next. We can say first hand the invites are just as pretty in person, Hello!Lucky sent us a little sneak peek of the collection and we snapped a few pretty photos to show off all of Jacqui Lee's beautiful work. Let us know what you think. 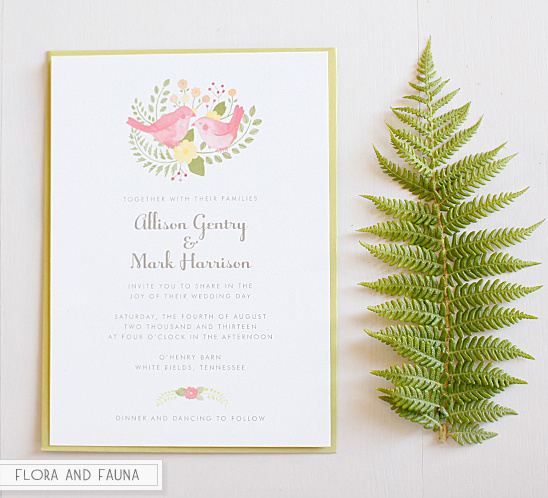 Flora and Fauna Wedding Invitation from guest designer Jacqui Lee is absolutely perfect for a spring time wedding. 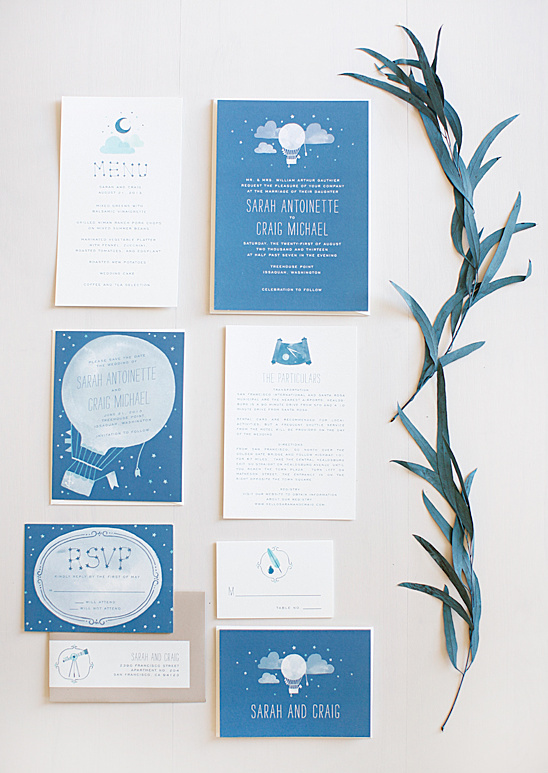 Another adorable wedding suite by Jacqui Lee. 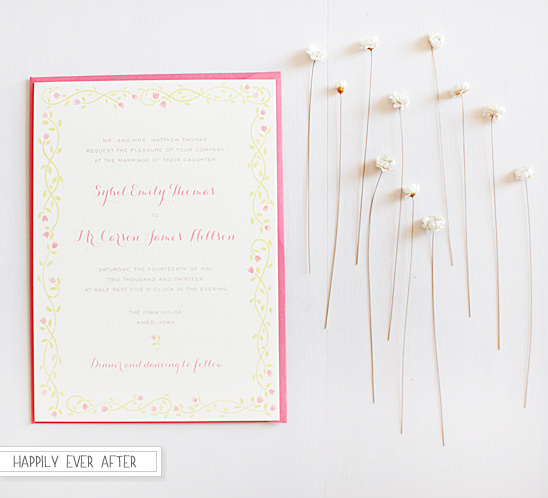 The Happily Ever after suite is also an ideal for a spring time wedding. Notice the super cute hand painted crowns on the reply card. 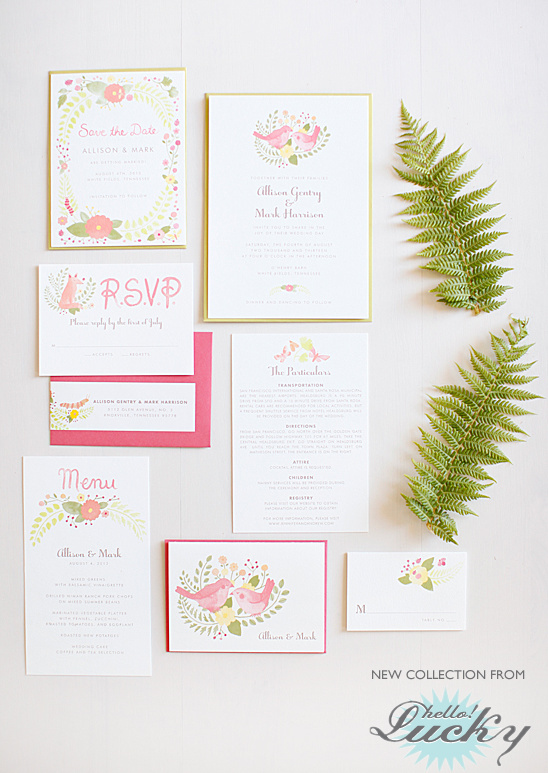 All the details on this suite are different, but cohesively all blend together. We love. 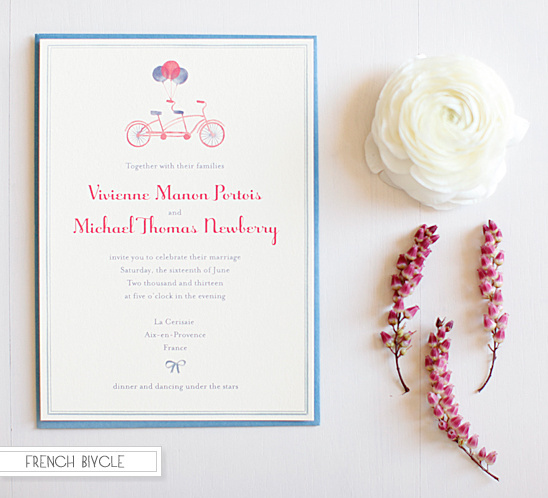 The French Bicycle collection has a crisp and clean Parisian feel. 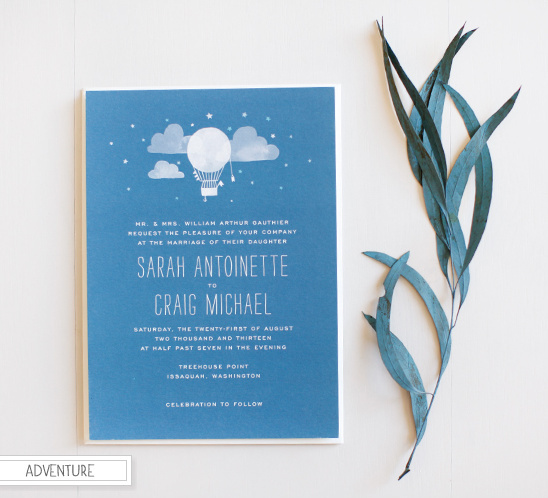 We can already see this invite setting the tone for a whimsical outdoor wedding. Think - bride in a tea-length gown with a blue sash and the groom in a bow tie. Both posing in front of tandem bike. 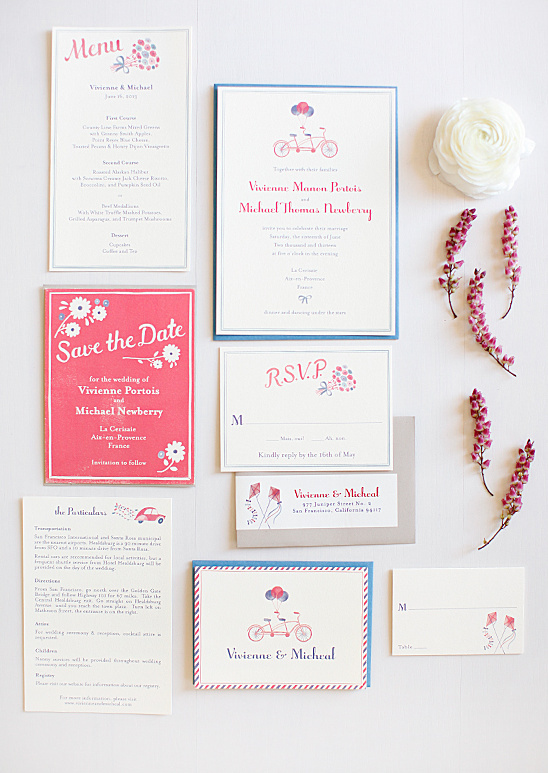 Possibly holding a watercolor painted sign in the same fashion as their invites with the words, "Just Married," on it. Way cute ... right? 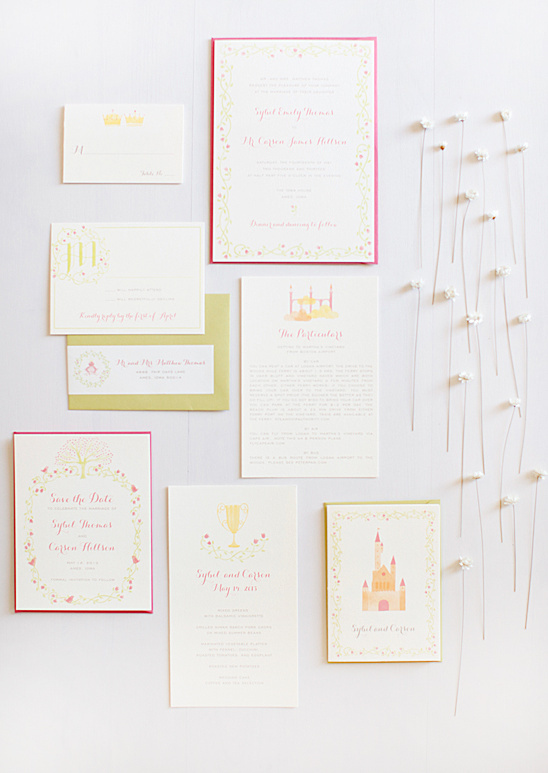 The Adventure wedding collection is another whimsical design from Jacqui Lee. All of the suites where designed together so they simultaneously grew off one another. We have to say we love the The Adventure suite and it's play on all that is magical and mysterious about the night sky. Of the lovely suites that Jacqui Lee designed for Hello!Lucky, which one is your favorite?